It has been reported in The Guardian newspaper that a Ladbrokes punter lost £800 for not betting on a regular basis or taking his money out even though Ladbrokes had frozen his account because they did not want the punter to bet and win! So by not allowing him to bet or withdraw his money the punter then had to pay 5% a month dormant account fees and consequently he lost £800 since his account has been frozen since 2014. We know throughout history that Ladbrokes use unfair tactics to dupe their customers into losing money by stealth or down right crookedness. So it is of no surprise that they would lock an account and then slowly take away the money at no risk to themselves. We reiterate the phrase DO NOT BET WITH LADCROOKS. 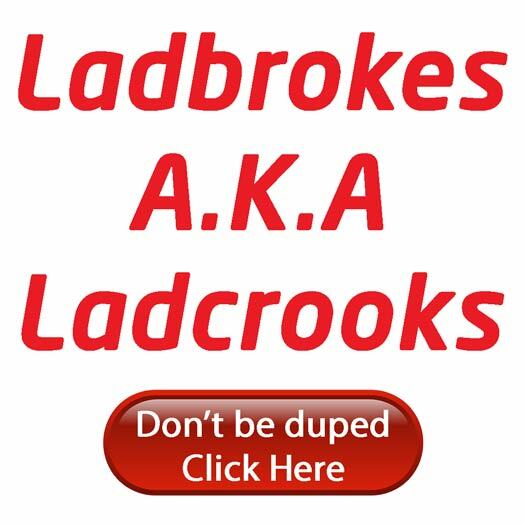 PokerKnave's Blog betting, gambling, Ladbrokes, ladbrokes is ladcrooks, latest news pokerknave poker online tournaments sport. permalink.